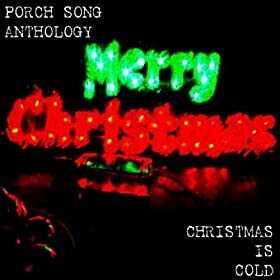 One of my favourite festive songs of recent years, Christmas Is Cold by The Porch Song Anthology is one of the best things about December. Any excuse to listen to it far, far too much is good for me, and this month makes it a bit more acceptable. The band, consisting of some former Telstar Ponies and other, have been awfully quiet since the release of their Late Mournings EP last year, but I’m hoping they’ll resurface sooner or later.